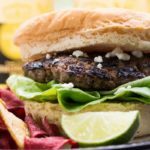 The classic flavors of carne asada- garlic, lime juice, and salt- combine to make this Mexican burger extra juicy and flavorful. How do you feel during the summer? Is your glass half-empty, or half-full? Where I live, the heat climbs well into the nineties (and sometimes higher) during the summer months. You might think that this is a glass-half-empty argument, but it’s not. That blast of heat is invigorating. Why? Because there’s nothing better than sitting in the shade on a wickedly hot day and listening to the crickets, while drinking something very, very cold, preferably paired with something tasty to eat. That’s a glass-half-full moment. 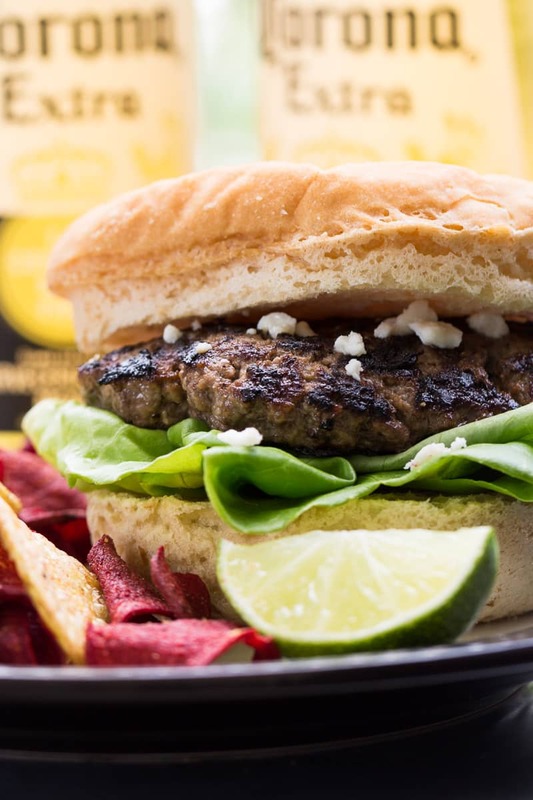 Of course, the tasty something (in this case) is my summertime take on carne asada: the Carne Asada Mexican Burger. Carne asada is a type of Mexican steak that is often flavored with a simple marinade of garlic, oil, lime juice, salt, and pepper. This flavor powerhouse elevates beef to a tangy new height, and, as it turns out, works equally well on ground beef as on steak. Since we’re approaching this delectable scenario as a glass half-full situation, I’ll let you in on one of my favorite pairings. 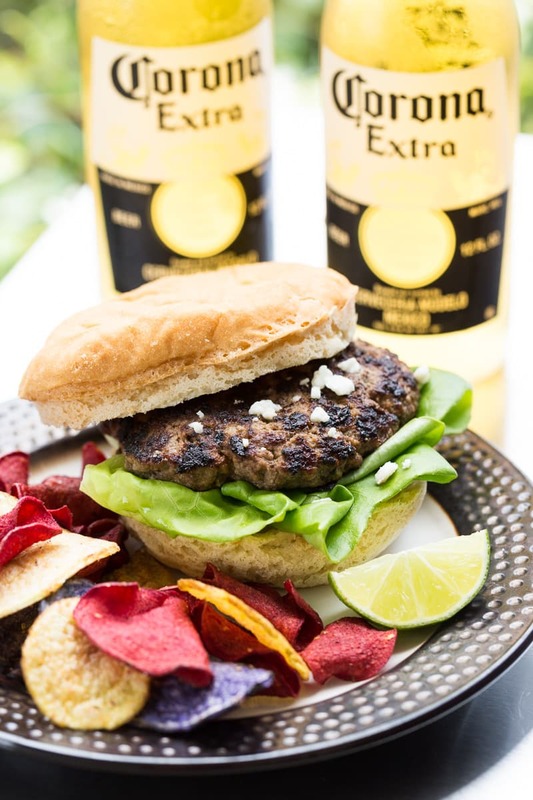 These carne asada Mexican burgers taste great paired with a cold Corona Extra. 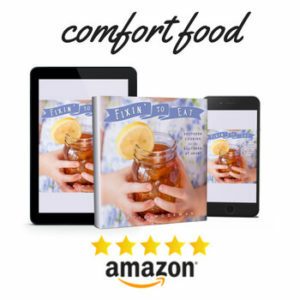 The combination is perfect for entertaining friends at all your summer celebrations, whether it’s a holiday, a birthday, or just an excuse for a summer party. 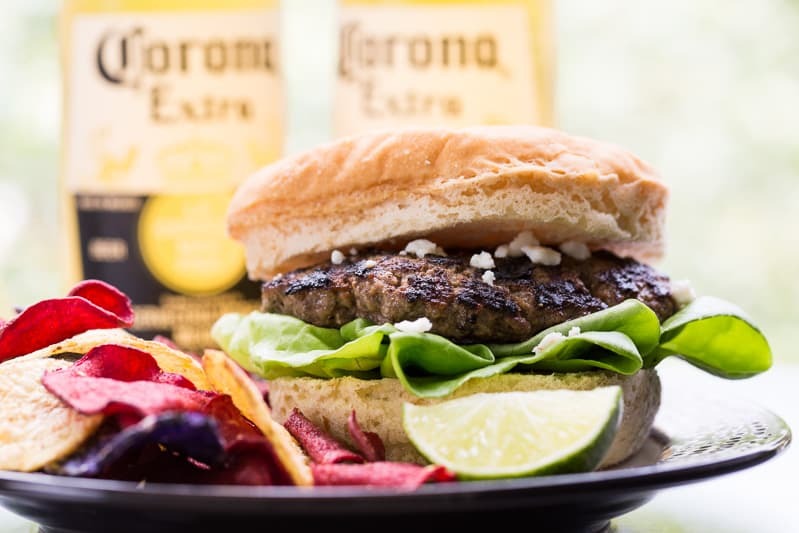 Corona Extra adds a carefree spirit to summer moments, and when you enjoy it with a juicy, flavorful Mexican burger, you’ll make the moment sublime. Did someone mention limes? Everything is more enjoyable with limes. 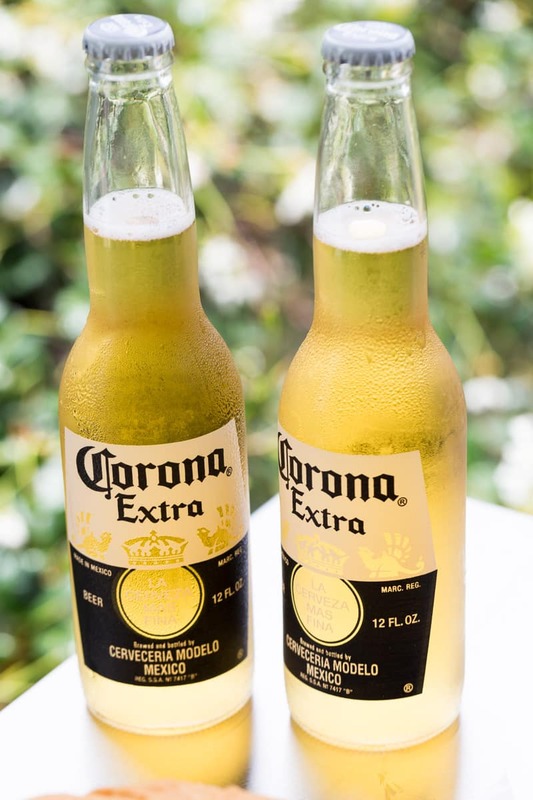 You’ll be using fresh lime juice in these carne asada burgers, and I’d recommend having a few extra lime slices on hand for gracing the neck of your Corona Extra. We have a big back porch where we entertain in a casual, outdoor way. By grilling outdoors, we keep the kitchen from heating up, and keep the indoor mess to a minimum. Chase everyone outside, hand them a beverage, and instruct them to kick back immediately. One of the interesting things I learned about carne asada is that there’s no single way to make it. In that sense, it’s like paella, curry, or barbecue sauce. You can change it up and mix it up to suit your tastes. Like chili powder? Chuck it in. 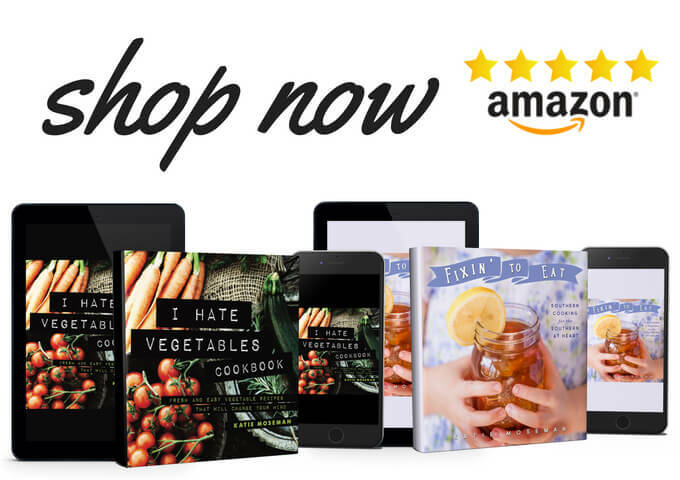 Love spicy chili peppers? Add them. Use your creativity and you might just find unexpectedly clever ways to enhance your marinade. 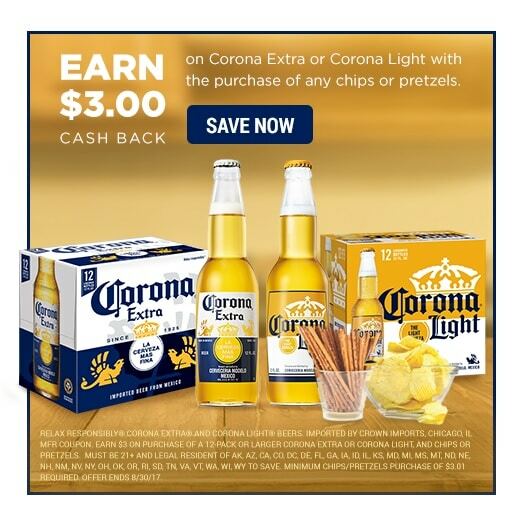 Plus, save $3.00 on chips or pretzels when you purchase on 12-pack or larger of Corona Extra/Light and $3.01 or more in chips or pretzels. You can find this offer in the “Beer, Wine & Spirits” section of the Checkout 51 app. How can I tell when my burger is done? Use a meat thermometer, because color is not a reliable indicator. Ground beef should reach a minimum internal temperature of 160 degrees Fahrenheit. What kind of cheese should I add to my Mexican burger? Any kind you like, but Mexican melting cheese (aka “quesadilla cheese”) is especially good. Also try Monterey Jack or pepper jack. What are some Mexican burger toppings? 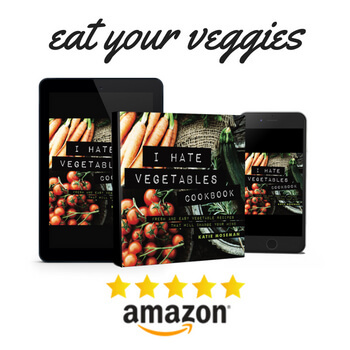 Try guacamole, chunky salsa, cilantro, Mexican crumbling cheese, or diced chili peppers. 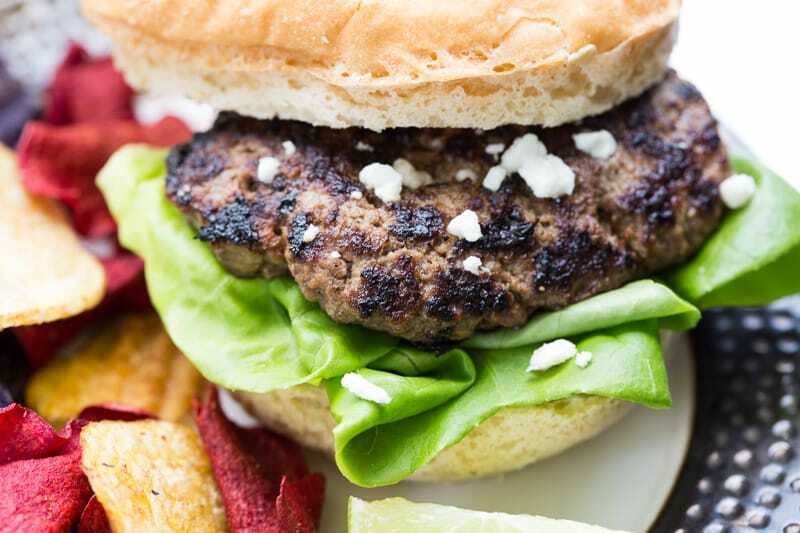 How do you double a burger recipe? Simply double all of the ingredients. You may need a larger mixing bowl. Blend the lime juice, garlic cloves, salt, oil, and water in a food processor until mostly liquid. There will still be small pieces of garlic. In a large mixing bowl, combine the ground beef with the liquid from the food processor. Stir and mix until thoroughly combined. Shape into 4 patties and cook to desired doneness. For food safety, use a meat thermometer and cook until the internal temperature reads 165 F. Sprinkle with queso fresco and serve with your choice of toppings. 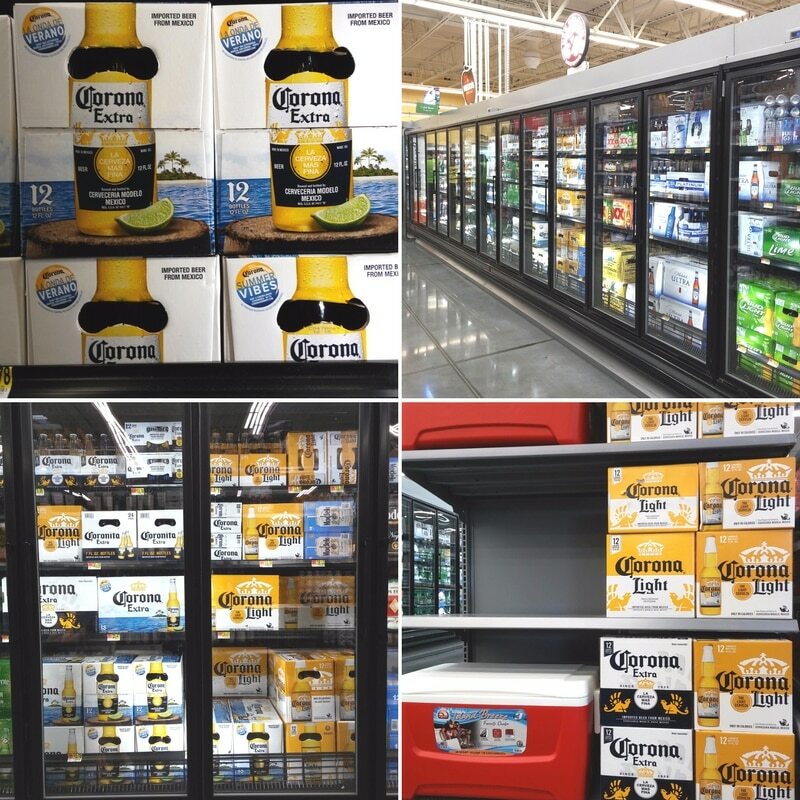 Look for Corona Extra at your local retailer. 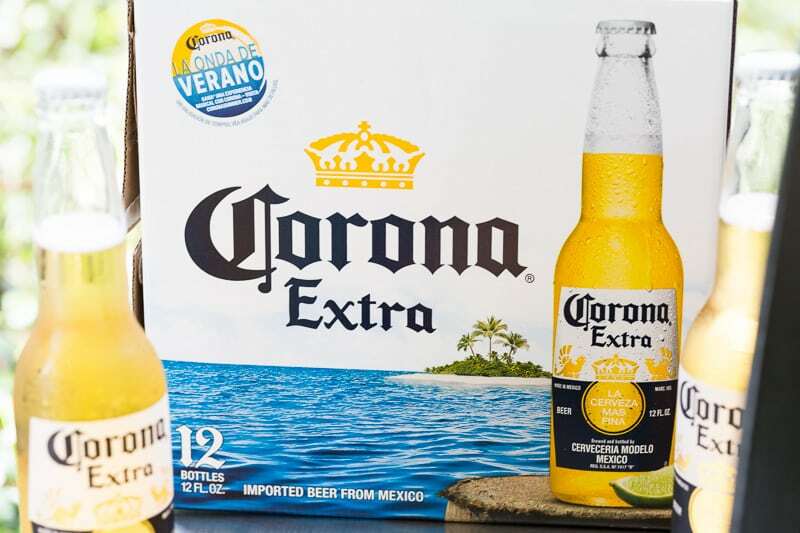 Follow Corona Extra on Facebook, and find them Twitter and Instagram at @coronaextrausa. Also try these Mushroom & Swiss Stuffed Turkey Burgers! The carne asada steak at our local Mexican place is really good. I bet I’d like the same flavors in a burger!